Why Past HSC Papers Are a Waste of Time And What To Do Instead! Why Past HSC Papers Are a Waste of Time And What To Do Instead! Do you do past HSC papers as a way to prepare for your upcoming HSC exams? 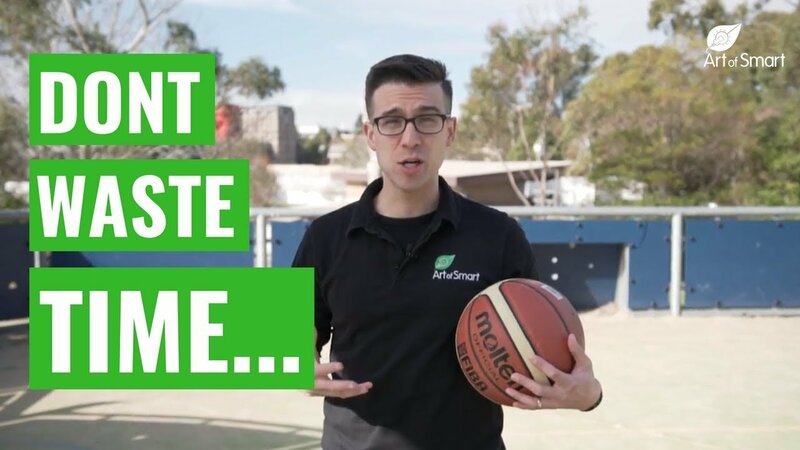 In this video, Rowan from #AOSTV shares why you should not to do a full past HSC paper and why you’re actually wasting your time by engaging in the HSC past exam paper competition! In the lead up to HSC assessments, the HSC Trial Exams and the actual HSC exams, something always seems to happen. You and your friends will often start competing on how many past papers you’ve done to prepare for your assessment or exams. This is pretty much the worst way to actually prepare for upcoming assessments and exams! Keep reading to find out the reasons why doing full past papers is a mistake and what you should be doing instead to ace your preparation! Reason #1: Past Papers are Procrastination Inducing! Let’s be honest, doing a past paper means at LEAST 2 or 3 hours of study. That’s a lot of time and a lot of work. So when I plan to do a past paper, I tell myself I need to find a complete 2 or 3 hour block to do the paper! The reality is, I never find the time to do that full past paper in a 2-3 hour block. And the reason is because I’m procrastinating doing it! This is the first reason why trying to do a full past paper all at once is a mistake. More often than not, you procrastinate more, and actually get much less done that what you had hoped to. Let’s say you’re playing basketball, and after the game you realise that you’re doing great in all areas except shooting. When you go to training that week, what should you be focusing on? Fitness? Movement of the ball? Teamwork? The same concept applies when you start thinking about how to use past papers to improve before an HSC exam! When you do a full past paper, you’ll likely come out of the 2 or 3 hours feeling great and super productive. However, you’ve likely worked mostly on content and questions that you’re already good at and that you don’t need to work on. That’s why you need to rethink your approach to preparing for upcoming assessments and exams if you’re using past papers. First you want to identify the areas of the syllabus that you’re really not confident about, and know you need to work on. To do this, you can use the traffic light strategy. This strategy involves doing a kind of self-audit by using traffic light colours, and it will take you less than 5 minutes to do. From here, you can easily visualise your strengths and weaknesses on the syllabus. This allows you to map out your priority areas with the ultimate aim for all syllabus elements to become green. You want to be targeting your RED areas first, then ORANGE areas, and finally do simple revision of your GREEN areas. Now that you’ve colour coded your syllabus and can easily see the orange and red areas of the syllabus you want to focus on, it’s time to go one step further. You also want to identify the types of questions in exams and assessments that you struggle with the most. It could be short answer questions, or multiple choice questions, or drawing diagrams in science subjects. Whatever it is, you now need to identify which question types are the most difficult for you, and prioritise working on those types of questions first! Now that you know your weak areas in the syllabus and the question types you want to be focusing on, STOP DOING FULL HSC PAST PAPERS! To truly maximise the time you’re spending preparing using past HSC papers, you want to prioritise answering particular past HSC paper questions that focus on your weak areas in the syllabus OR on question types that you need to work on, rather than just doing a whole past HSC paper and wasting your time in the Past Paper Competition. Step 1: Focus on your weak areas and topics, and do a self-audit using the traffic light system. This is going to help you identify the areas of the syllabus you need to prioritise in your study and allow you to focus on studying in a way that will actually be effective when you get into that next exam. Step 2: Identify the question types that you struggle with in past HSC papers. By working on the question types that you have the most difficulty with, you’ll get into your next exam feeling confident that you’ve practiced and improved in answering those question types. This is a more effective way of ensuring you can improve your marks in that next exam. Step 3: STOP DOING FULL PAST HSC PAPERS! Now that you’ve identified your weak areas and question types, focus your study on past HSC paper questions that focus on your weak areas, weak question types or both! This will help you maximise your study and make sure you’re working effectively to improve for your next exam while using past HSC papers. Looking for a mentor to support you in your preparation and study for the upcoming HSC?